Summer may be slowly approaching a close, but all of the vegetables and herbs in my garden are ripening faster and faster. I can barely catch up with all of the weeding, watering, pruning, harvesting, preserving, and, the most wonderful part, enjoying. 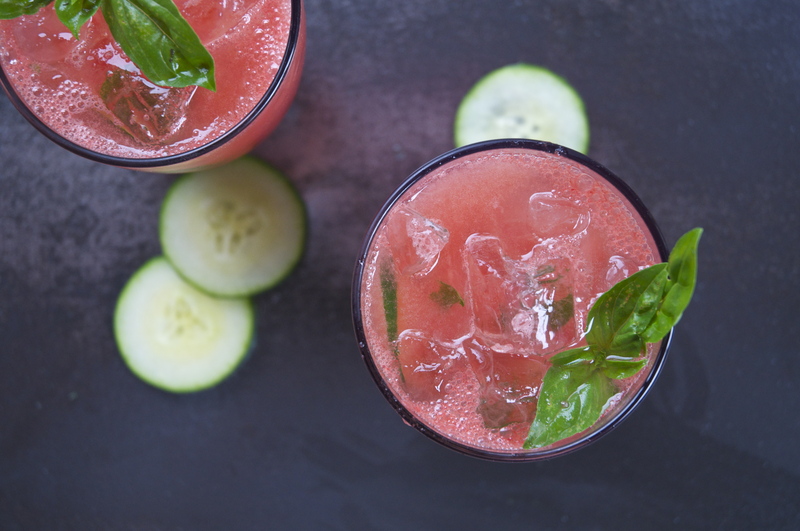 To create this refreshing, gin-based, end-of-summer treat, I used fresh watermelon, cucumber, and basil from the garden. 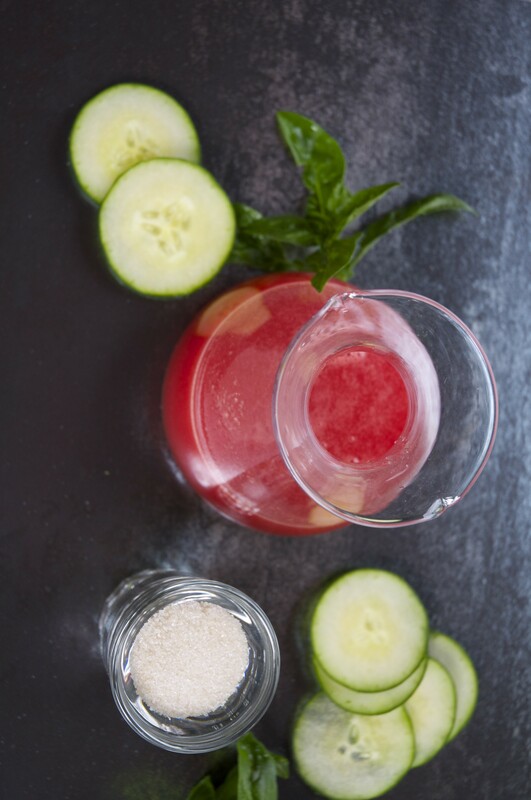 In a mixing tin, muddle the raw sugar, basil leaves, cucumber slices, and lime wedges well. Add the gin, elderflower liqueur, and watermelon juice to the mixing tin. Add a handful of ice. Pour into a tall (or collins) glass. 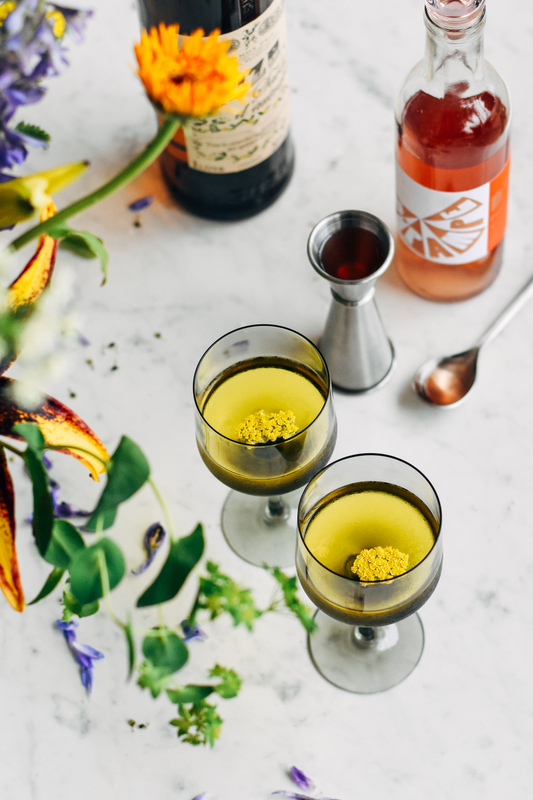 Garnish with a sprig of basil. Slap the basil between your hands to release the oils and intensify the aromatics. 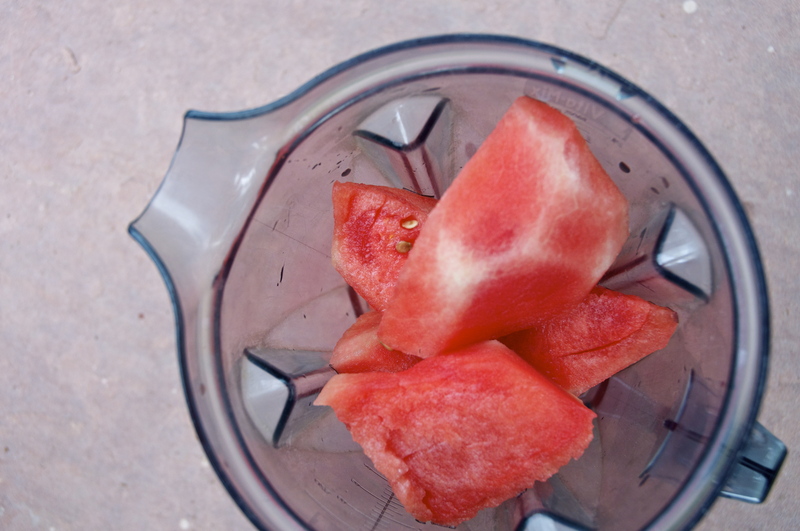 To make the watermelon juice, halve a watermelon, separate from the rind, and remove any large seeds. Chop into manageable chunks and purée in blender until smooth. 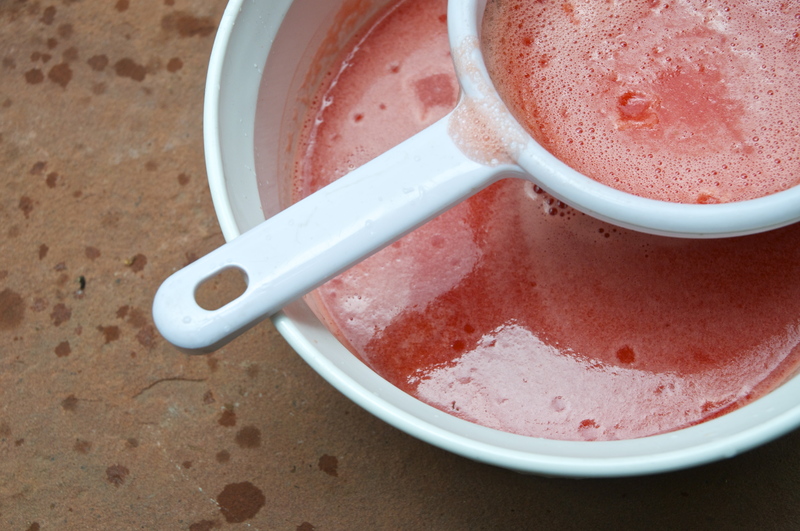 Strain the juice through a chinois or strainer to remove any fibrous parts. 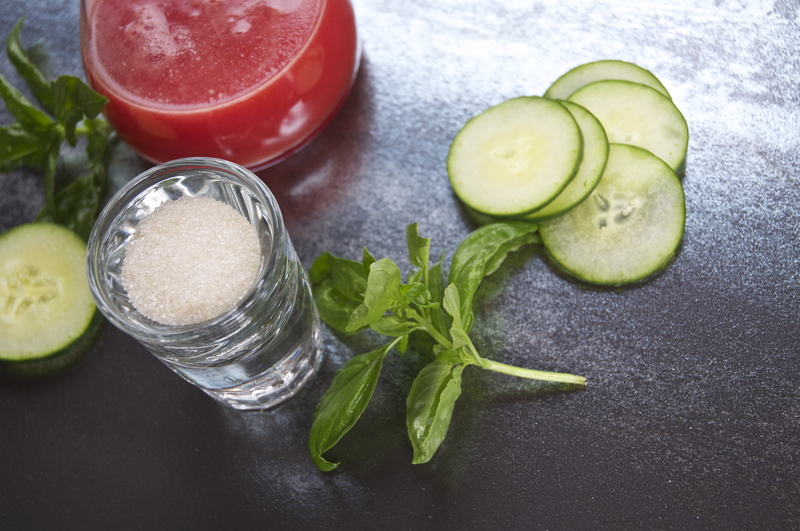 If your watermelon is extra ripe and sweet, adding raw sugar during the muddling process may not be necessary. 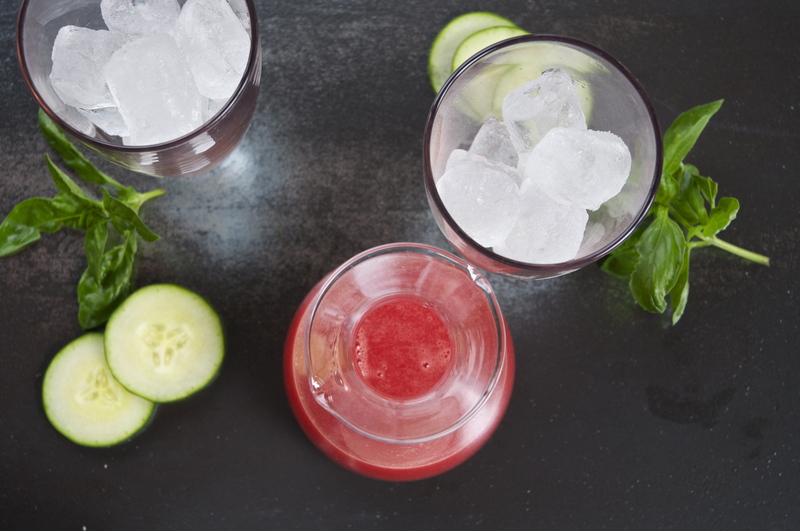 This cocktail is herbaceous and refreshing! 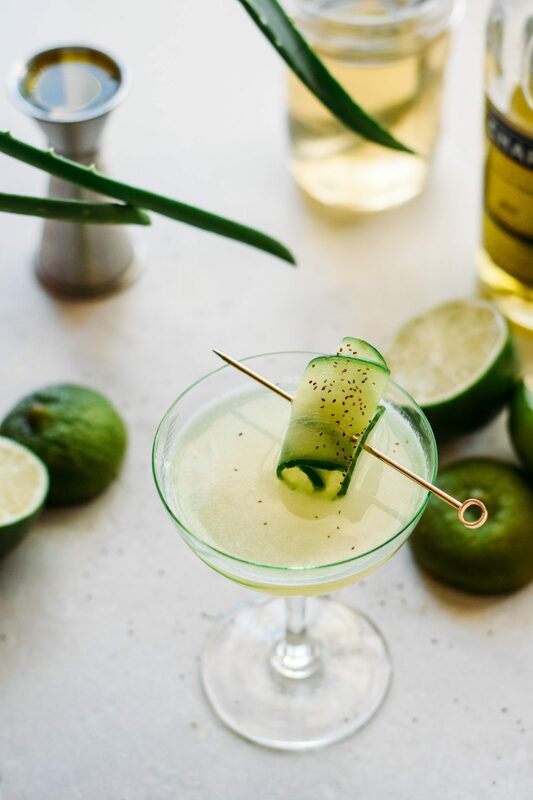 If you are not inclined to drink gin, you can always substitute vodka or even white rum; however, I think the botanical notes from the gin really pair well with the basil and cucumber. 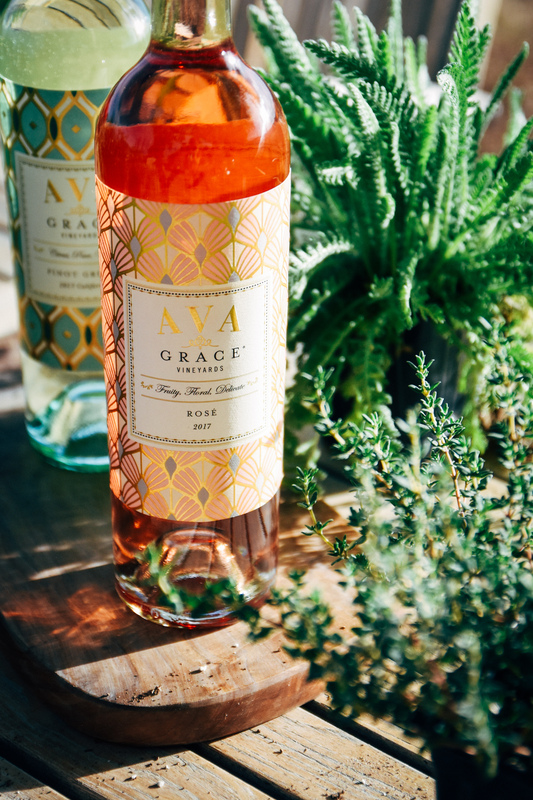 What cocktails are you enjoying this summer? 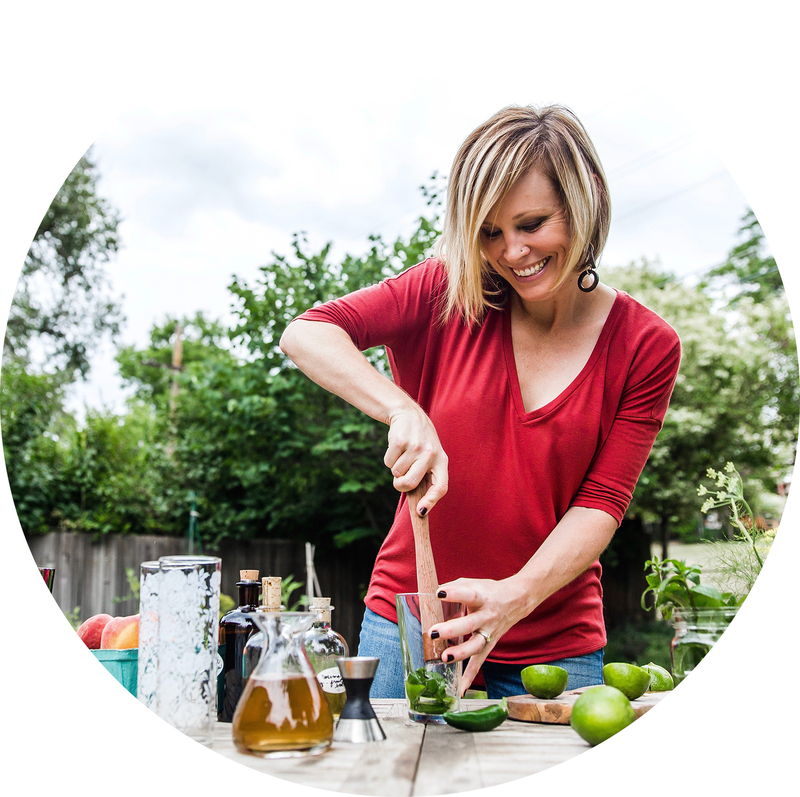 Are you integrating any herbs, fruits, or vegetables from your gardens or farmers’ markets? A brief update on the kitchen remodel: the disorganization and chaos around the house is finally coming to a close. 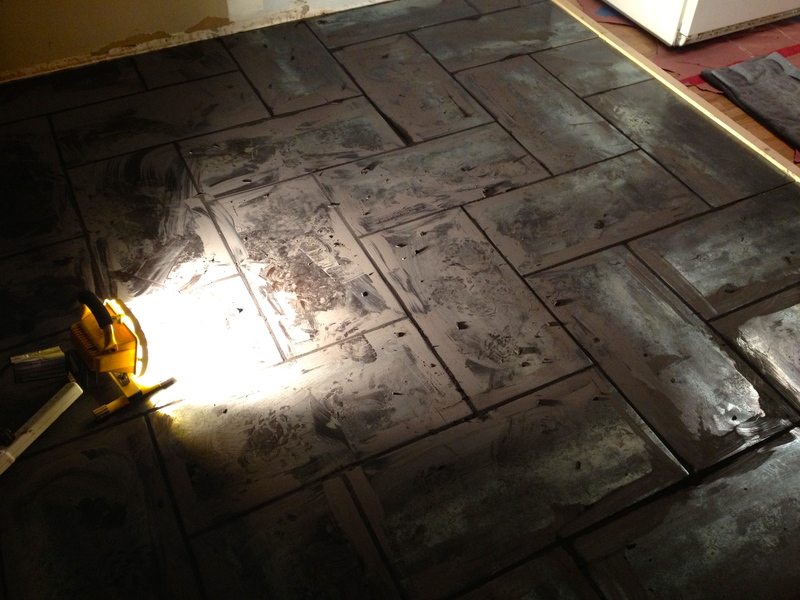 We successfully installed our kitchen’s floor tile last week! We rented a tile cutter from Home Depot, researched countless YouTube videos, and bugged our knowledgeable and patient friend, Matt, for tiling advice. For our first attempt at tiling, I think it really turned out beautifully! The cabinets are being installed next week, and that means that all of our furniture and belongings can move back to their proper homes. There is light at the end of this remodeling tunnel! Cheers to enjoying the rest of the summer and celebrating each milestone, as it is crossed! 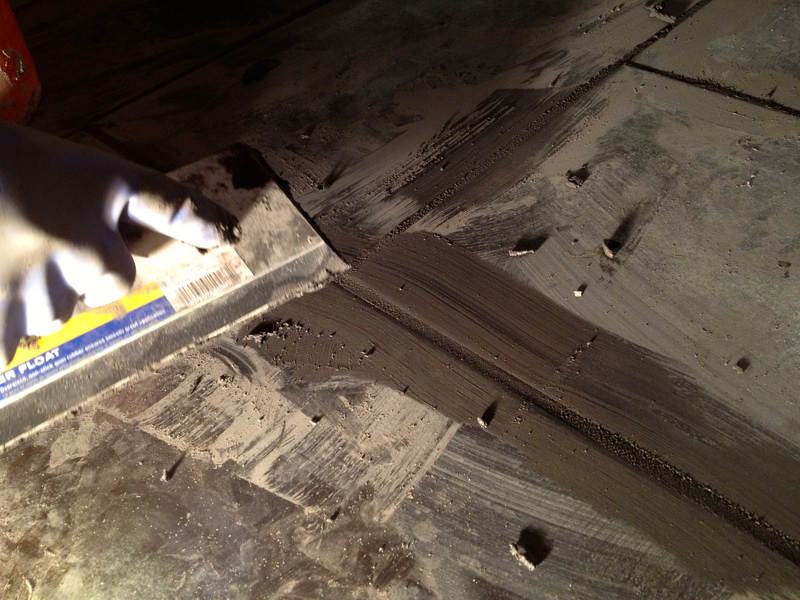 Smoothing the grout, section by section. Yes, we worked by work lamp, well into the evening. From the hazy lens of my iPhone, you can see the finished tile project. 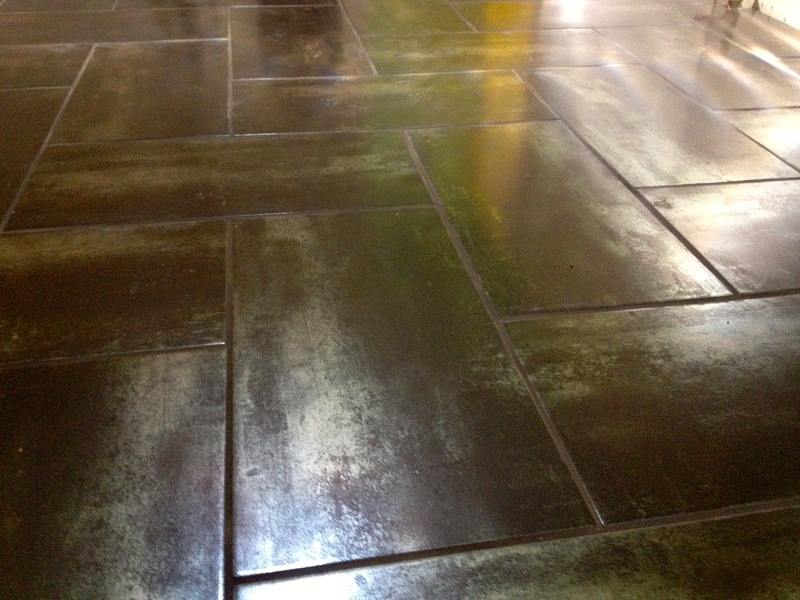 After cleaning off the tiles, we simply sat down on the floor and shed a few celebratory tears. So happy to have finished this! Love the color from the watermelon !!!! Yummm !! They were super yummy, Yvonne! And you will have to come over soon, so we can catch back up! XO and thanks for the compliment! We will dabble in some cocktail-making or just some coffee time. 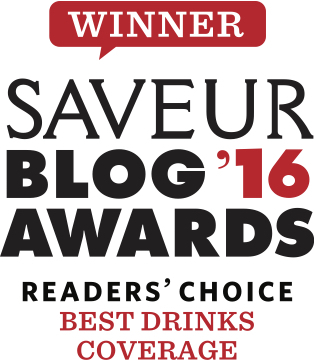 Nice call on using The Botanist gin in this cocktail, perfect with the basil! Thanks, Seth, for stopping by! Seems like you have a similar love for wine, as well.